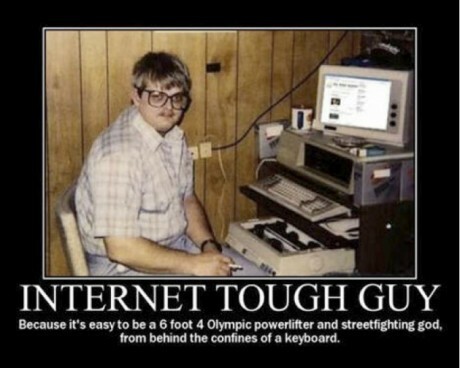 US Labor Day, Internet Trolls, "Whiny Jew Syndrome", Twitter Wars – ITEL Radio – 9.5.15 | Inside the Eye - Live! Inside the Eye – Live! for Saturday, Sept. 5, 2015 was a lively show that began by exploring some US Labor Day facts and history, history of Internet trolls during the early 2000’s, “Whiny Jew Syndrome” and Twitter censorship that protects Jews and Jewish interests. The show ended on some developments coming out of Syria. 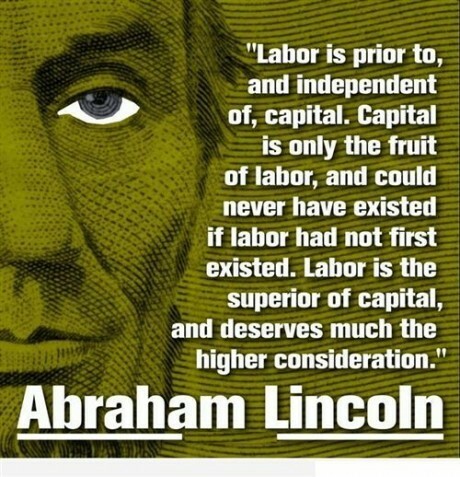 Labor Day in the United States is celebrated on the first Monday of September. Falling as it did this year on the 7th, Labor Day arrived on the latest day possible, and with it, events times around the Labor Day weekend also found themselves moved back in time on the start calendar. This year’s Labor Day holiday in the United States was marked by noticeably lower gas prices across the United States. It was also marked by the first annual “Freedomslips.com and Revolution Radio’s “Hawk Fest”, featuring Revolution Radio’s proprietor Mike “Nitehawk” Ringley opening up his farm in Kentucky to allow some 300+ festival goers to enjoy music, food, and general social festivities. “Hawk Fest” was headlined with a Black Sabbath tribute concert featuring Nitehawk on vocals. Inside the Eye – Live! also explored some of the early history of the Internet. This period was marked by the rise of a new phenomena of essentially sub-human trash known as “the Internet Troll”. An “Internet Troll” was marked essentially by intent and behavior wherein the Internet Troll sought to bring discourse and reason down to below the gutter and whom was often seen engaging and attacking those who most vocally defended and supported logic and reason. 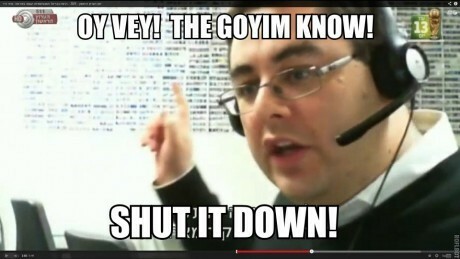 One of the nastiest, and vilest “sub human’s” was/is known as Andrew Escher Auernheimer, aka “weev”. Weev was purported made “famous” through his supposed “hacker” abilities, although he seems to never have been present in any of the documented actual hacking operatings. What “weev” was clearly famous for was his efforts to promote Jewish agenda’s by assaulting and attacking anyone who was an “anti-Semite”. The show spent quite some time on “weev”, “troll wars”, the digression of White Nationalism in using “weev” as their “spokesperson”, and much more. If there is anything we have learned through a largely Jewish controlled media, it is that Jews are by and large anti-Western, anti-Free Speech, and essentially, a very “whiny” people who feign offense and indignity and nearly every available opportune time. This propensity to act as children gives rise to the idea of what is known as “Whiny Jew Syndrome”, a form of behavior that finds Jews whining at nearly everything they disagree with, but with the intent to harm or otherwise cause those they are in disagreement with to “lose their voice” through censorship, shame (the concept of always apologizing to Jews), and so forth. We discussed Whiny Jew Syndrome in depth and how Whiny Jew Syndrome was used to silence yet another voice as Inside the Eye – Live’s! Twitter account, @ITELRadio, was “suspended” without any warning or feedback as to why. What becomes clear is a very disturbing and violent pattern of Jews proving to be a totalitarian, vindictive, intolerant lot who have risen through our tolerance to the point where we are no longer “tolerated” in our own social constructions. All of this and quite a bit more on Inside the Eye – Live! for September 5, 2015.